Mark Warford recently began a second 3-year term as department chair for Modern and Classical Languages and teaches courses in Spanish and language pedagogy. As chair of MCL, Warford created the first undergraduate SUNY certificate programs at Buffalo State (World Language Advantage) and developed the department's first dual-credit partnerships with several area high schools (ITA 201, SPA 201, SPA 202). Under his leadership, MCL received the Department Award for Advancement in Affordability (2018). As a scholar, he has published in the areas of applied linguistics, (Spanish) language pedagogy, educational innovation, teacher development, and sociocultural theory. 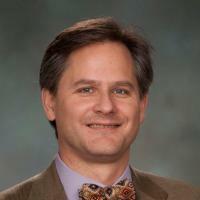 There are nearly 500 citations of his work in scholarly publications. With regard to educational technology, he certified as a peer reviewer for Quality Matters and serves as Research and Innovation Fellow for the Open SUNY Center for Online Teaching Excellence. In addition to delivering keynote addresses, presenting and chairing dozens of sessions at professional conferences from the regional to international level, Warford regularly leads workshops on a range of topics, including the promotion of student engagement and blended course design in online instruction, as well as FourSight, a model for organizational self-reflection. Seminar in Contemp. Latin American Lit. Educational innovation, applied linguistics, sociocultural theory, teacher development, translation studies, Jungian studies. Sidorkin, A. M., & Warford, M. K. (2017). 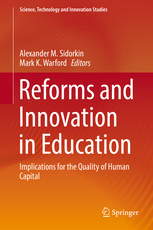 Reforms and Innovation in Education: Implications for the Quality of Human Capital. New York: Springer. Warford, M. K. (2005). Testing a Diffusion of Innovations in Education Model (DIEM). The Innovation Journal: The Public Sector Innovation Journal, 10(3). Warford, M. K. (2011). Zone of Proximal Teacher Development (ZPTD). Teaching and Teacher Education, 27, 252-258. Warford, M. K. (2013/2014). Toward a framework for evaluating online instruction in higher eduction. Journal for Educational Technology Systems, 42, 333-353. Warford, M. K. (2017). E-learning and the disciplines: Lessons from applied linguistics. Chapter in K. Shelton and K. Pederson (eds. ), Handbook of research on building, growing, and sustaining quality e-learning programs (pp. 324-521). Hershey, PA: IGI Global Publications. Outside of academia, you may find Dr. Warford playing traditional Irish music locally in the greater Buffalo area. Consult markwarfordmusic to find out more. Copyright 2012. Last updated May 2012.